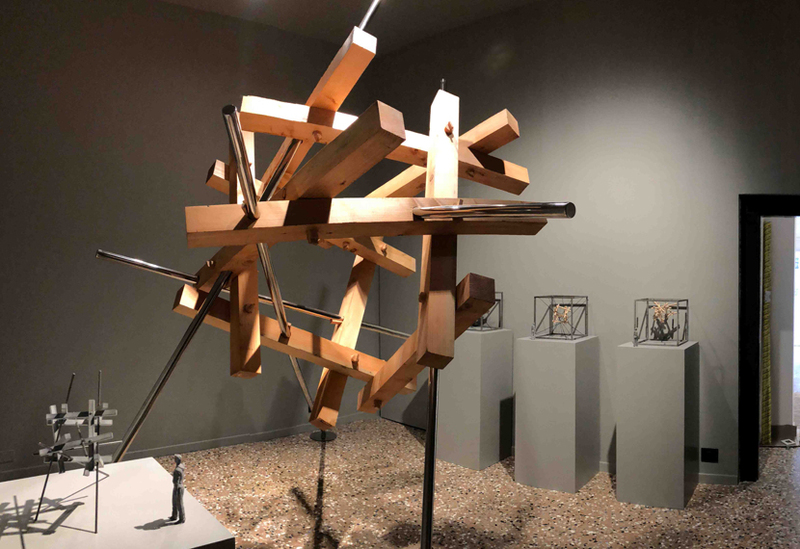 We’ve worked with multi-disciplinary designer and artist Paul Bonomini on many different projects over the years. 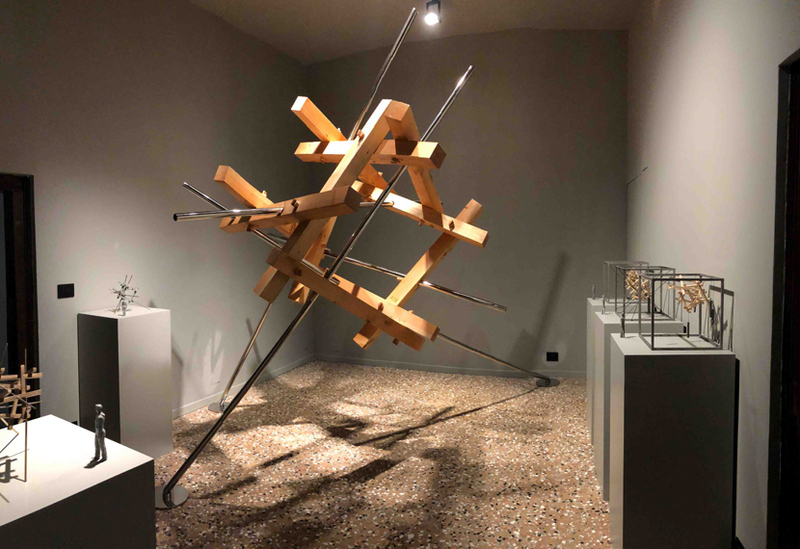 This year, he was selected to show a major work at the Venice Biennale, creating ‘Deconstructed Cube Form I’ specifically for the Time-Space-Existence exhibition and its location in Palazzo Bembo. 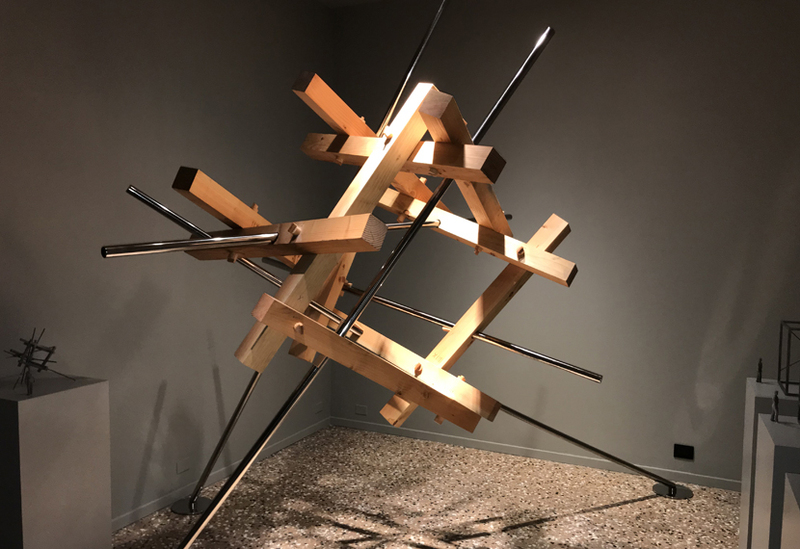 Paul Bonomini’s work is driven by geometry and hard, heavy materials. 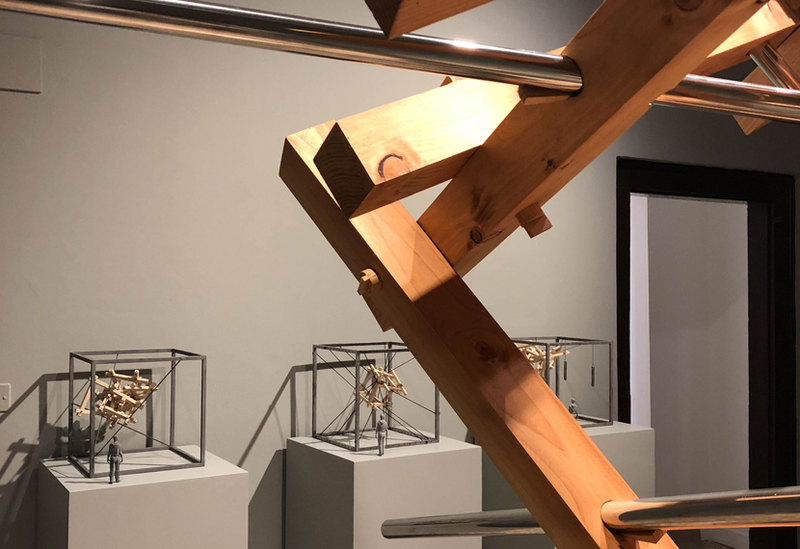 For us, creating this sculpture drew on a contrast of skills from traditional craftsmanship to the precision of our 5 axis CNC facilities. 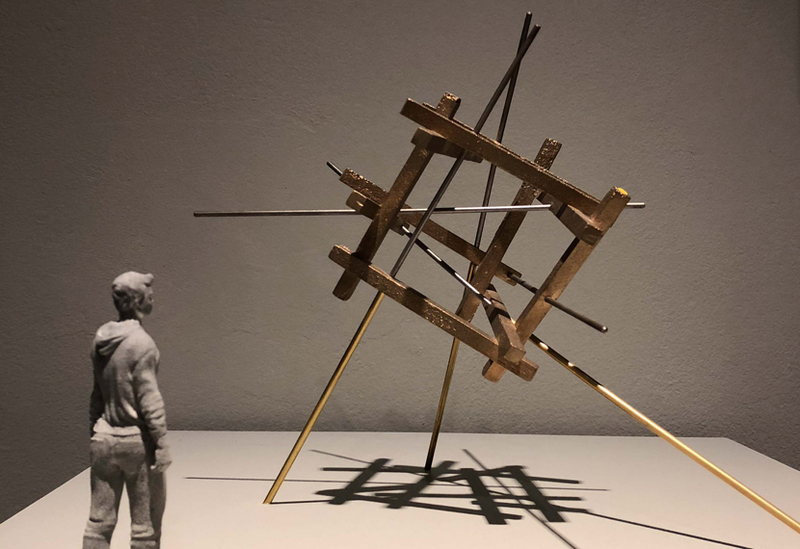 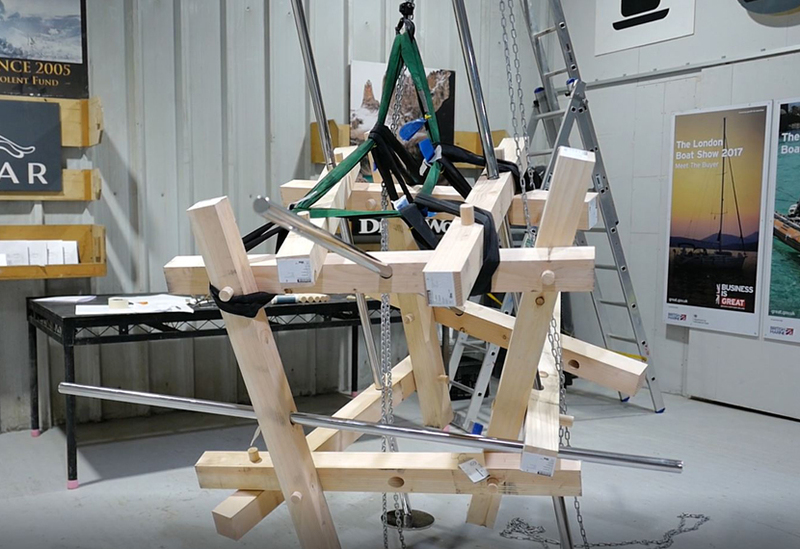 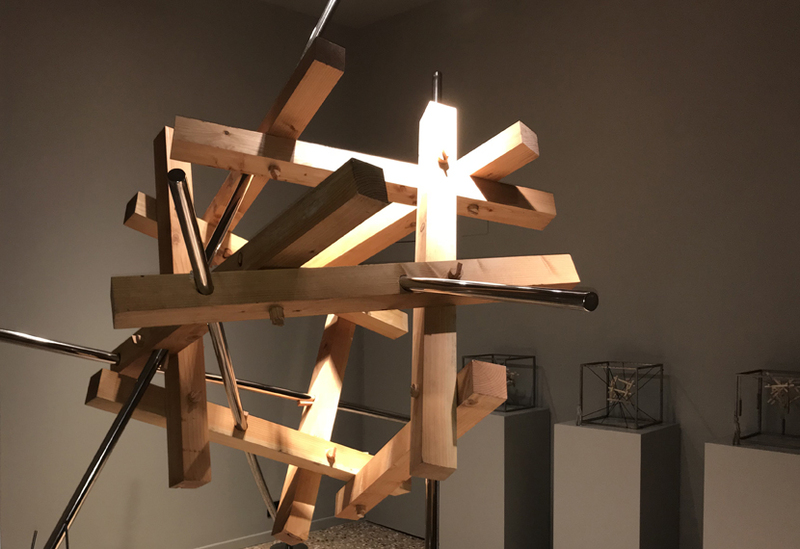 The piece is approximately 3m³ and comprises a tumbling, geometric configuration of eleven 4”x 4” Douglas fir beams and five, narrow stainless steel rods. 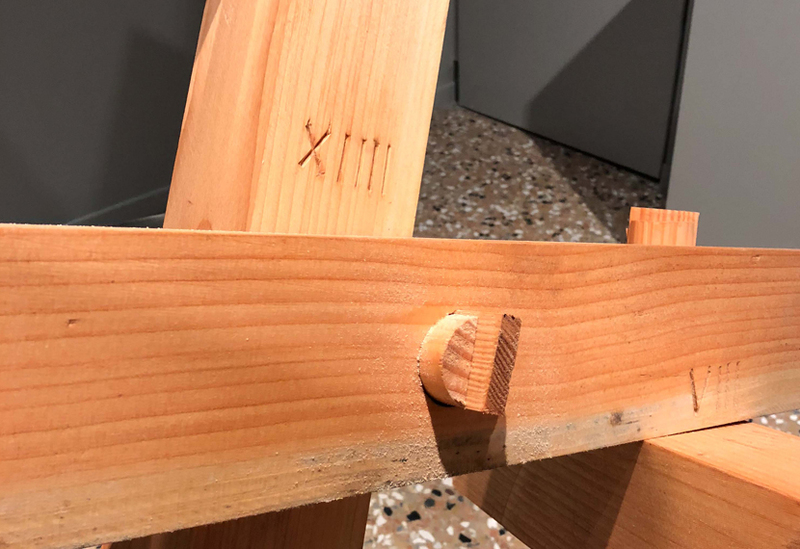 Each beam is notated with a traditional, chiseled carpenter’s mark. 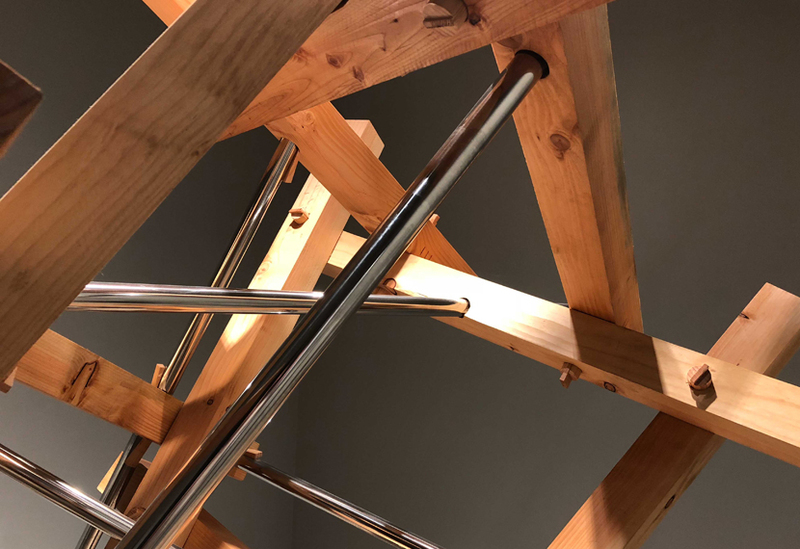 The highly polished rods transect the angular, grained beams and provide a contrastingly lightweight support that raises the sculpture aloft. The detail lies in the intersections. 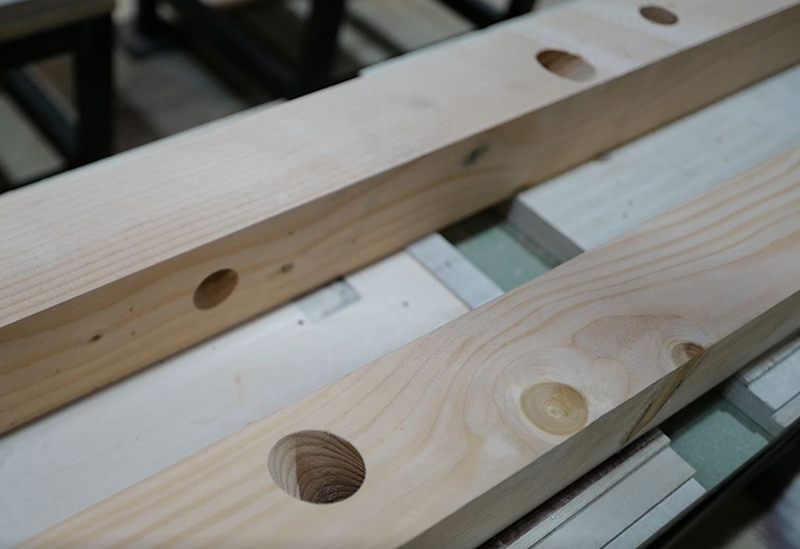 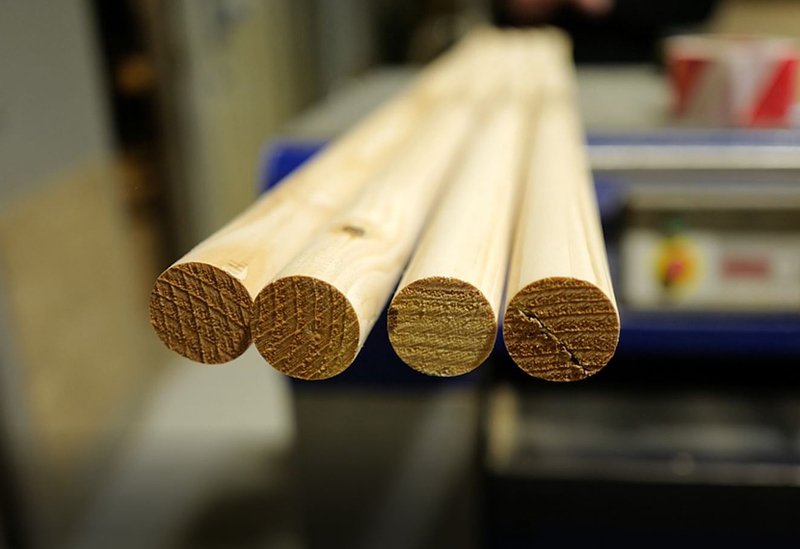 Where each beam crosses another, a hand crafted peg and wedge lock them securely in place. 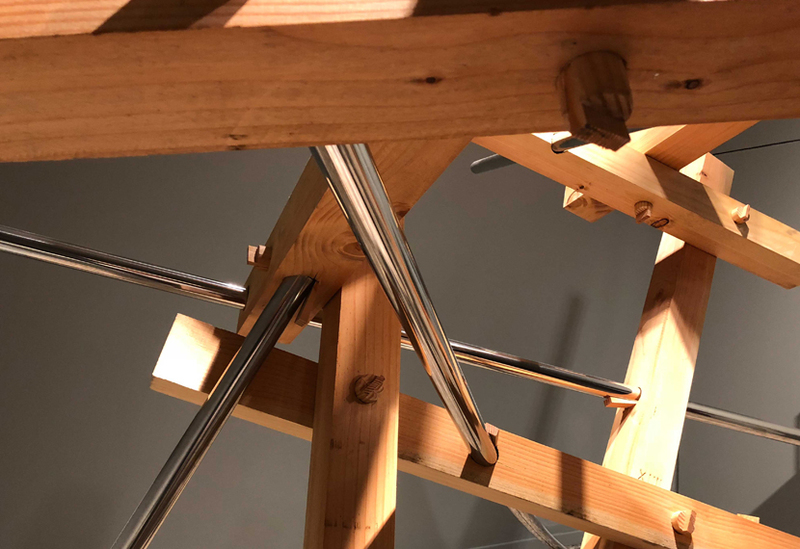 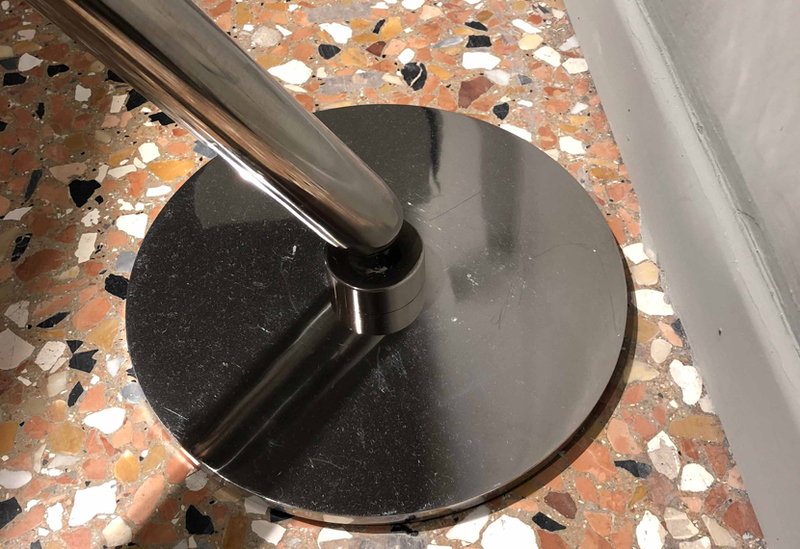 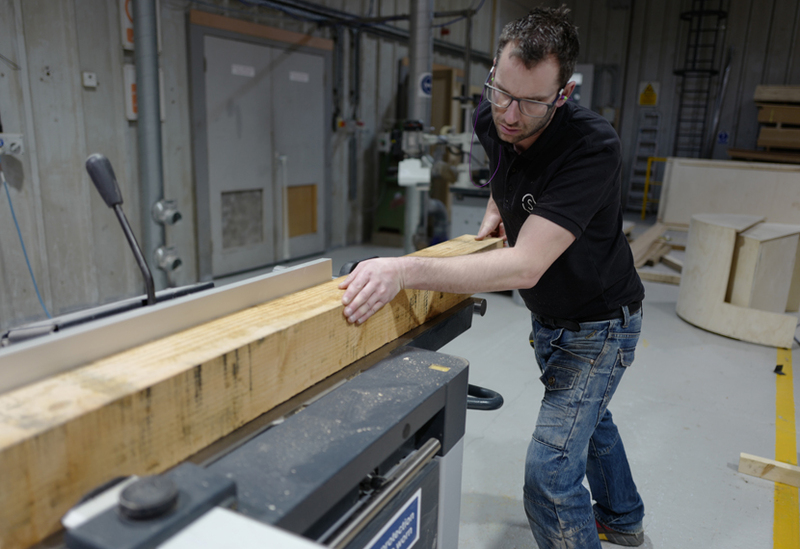 CNC technology provided precise apertures for fixings and to allow the stainless steel rods to pass seamlessly through the wood.